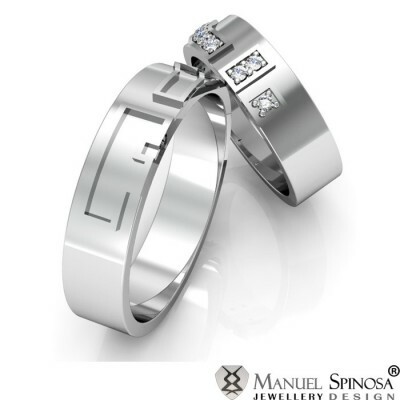 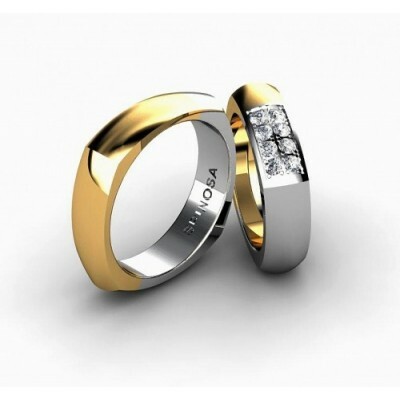 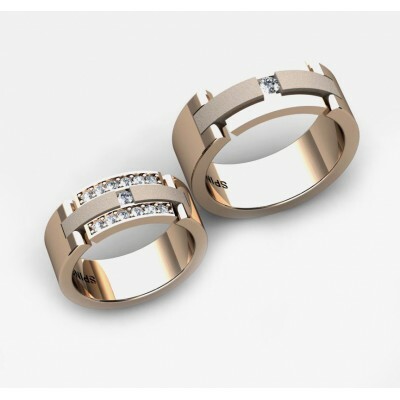 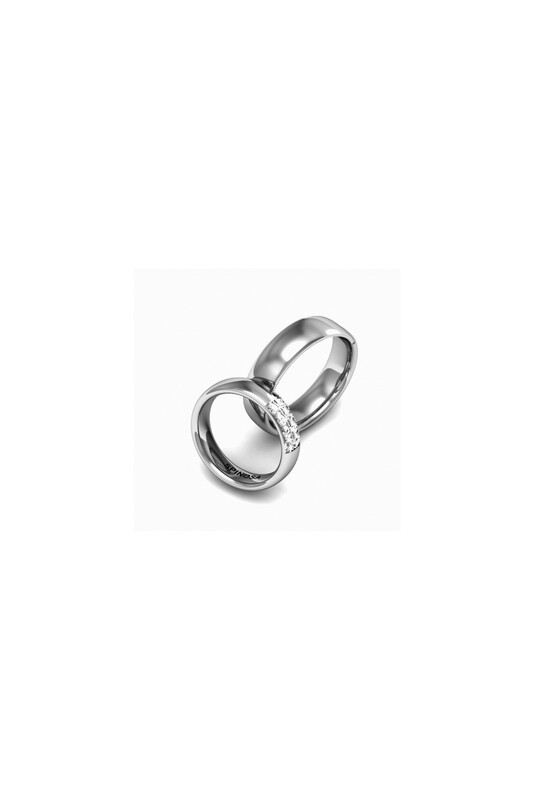 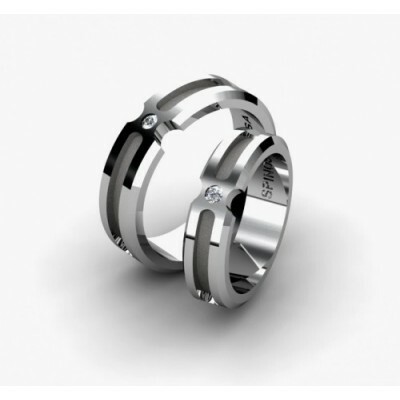 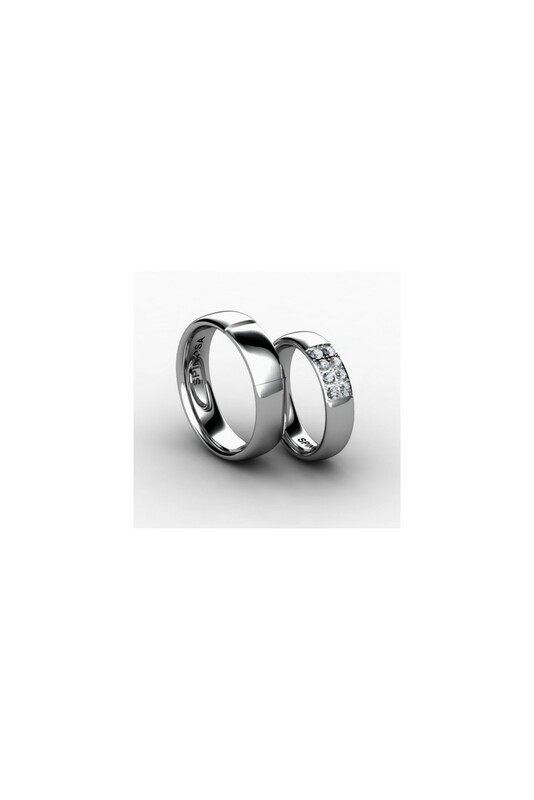 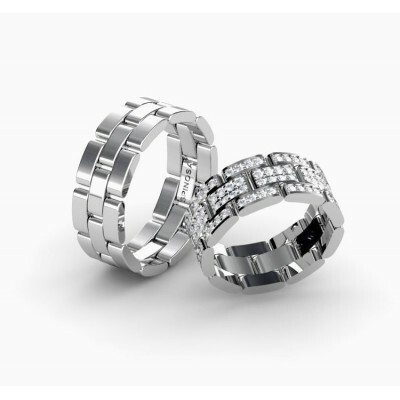 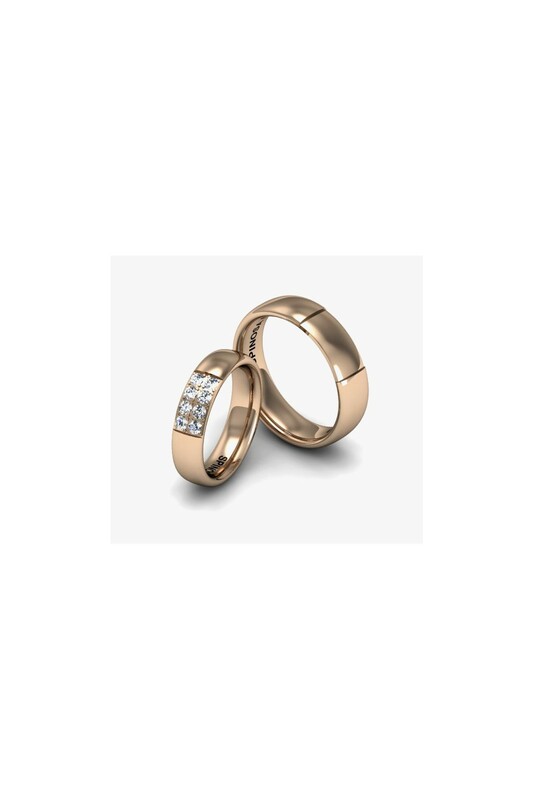 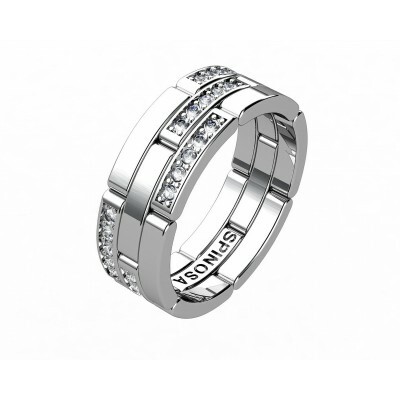 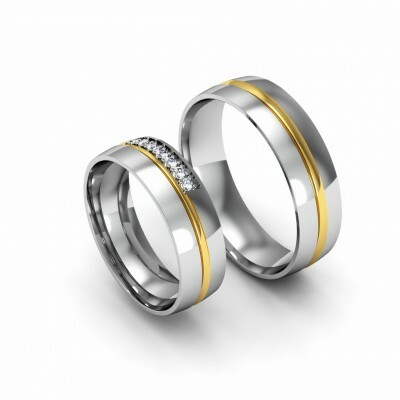 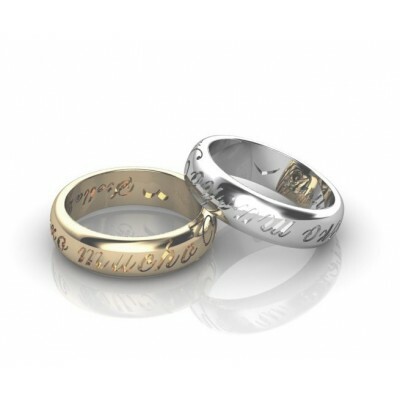 Conservative, elegant wedding rings. 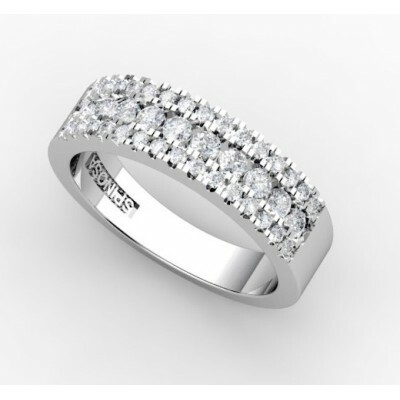 You will love its soft shape and elegancy. 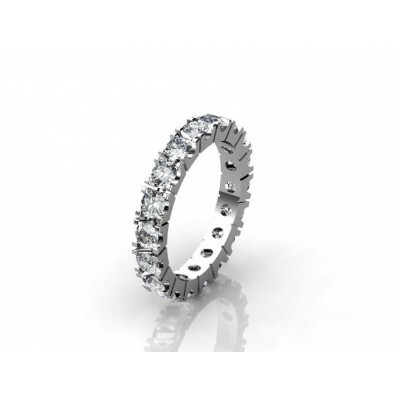 A ring that is very light to wear. 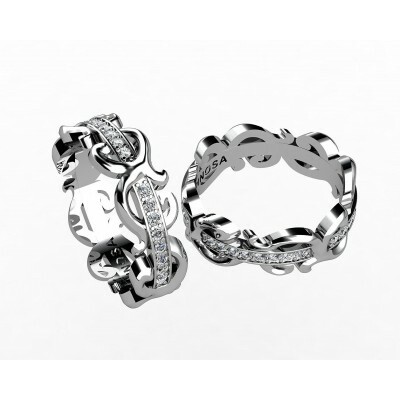 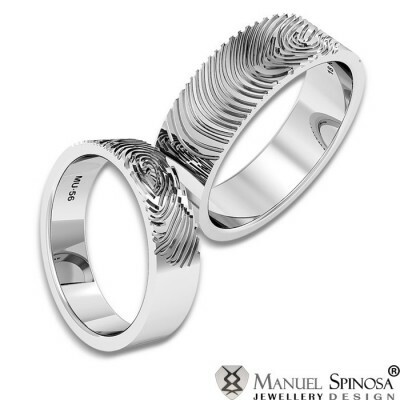 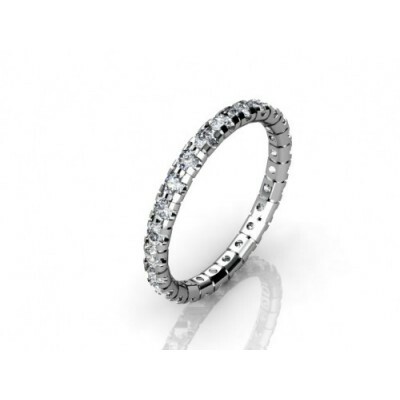 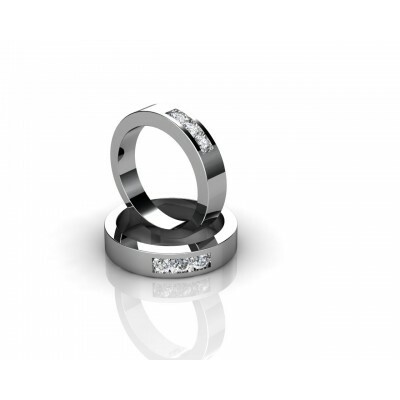 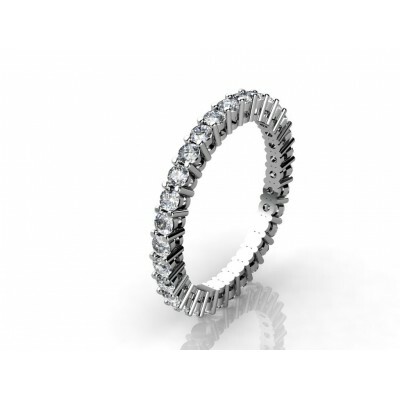 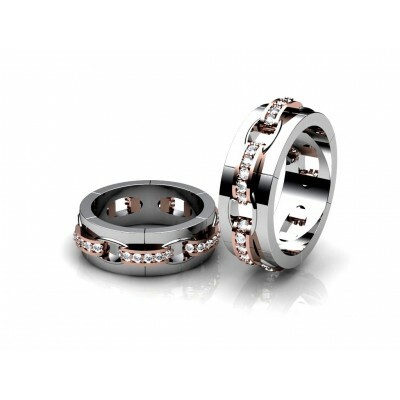 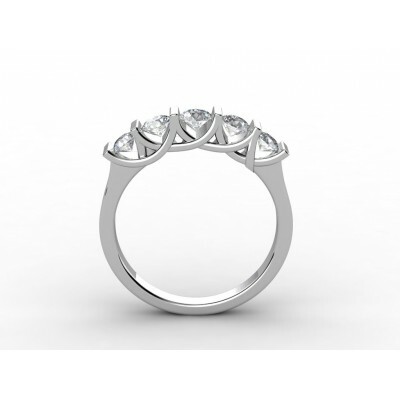 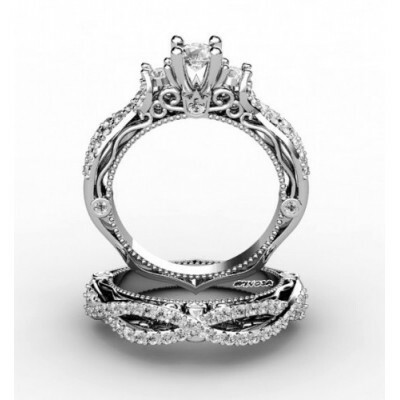 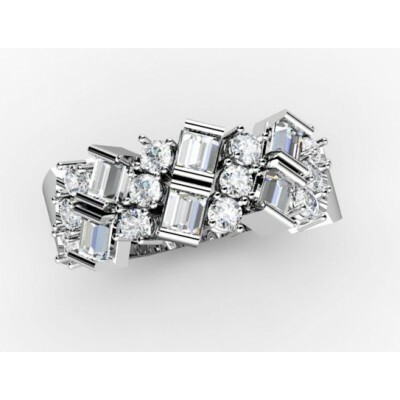 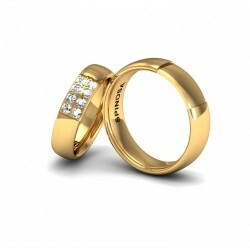 Who says that conservative designs for wedding rings can not be elegant and trendy? 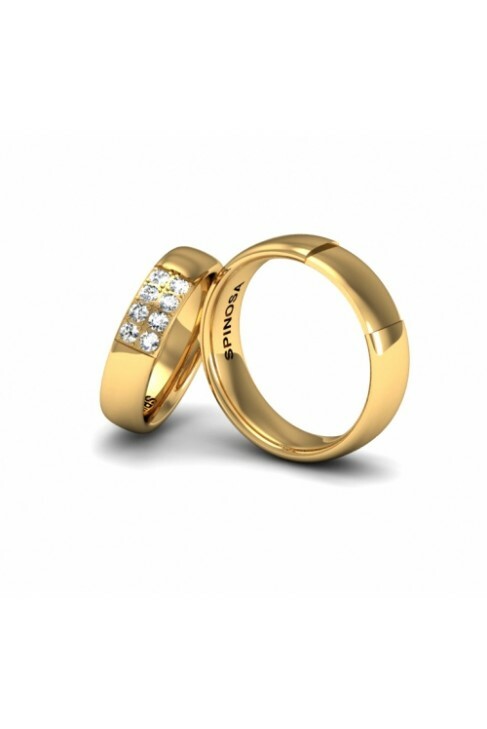 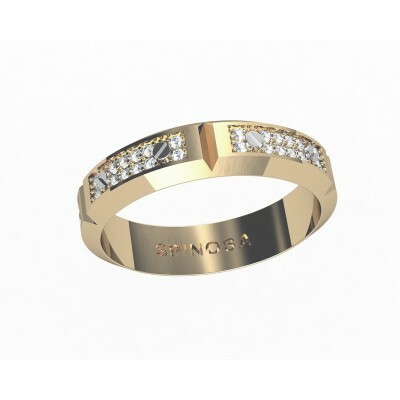 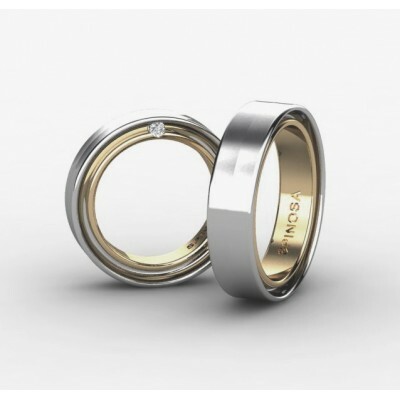 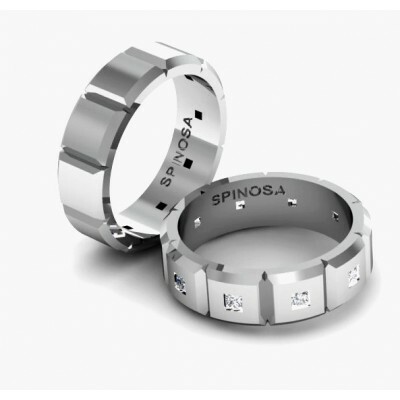 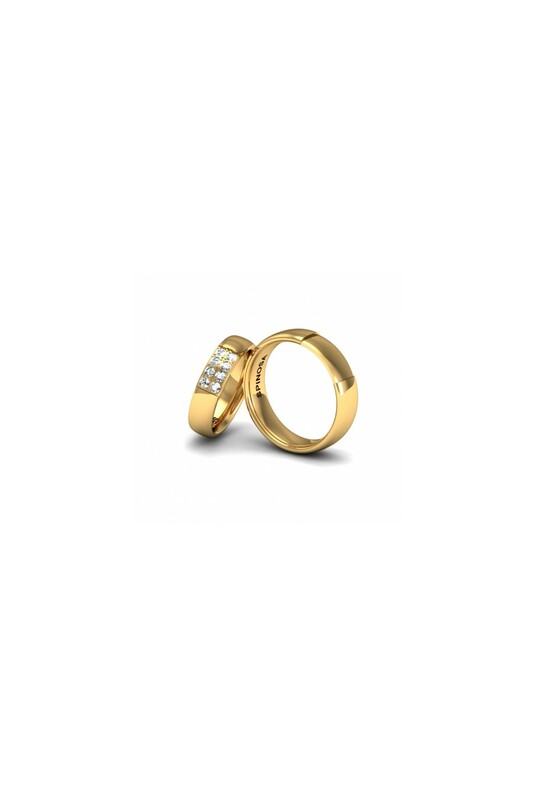 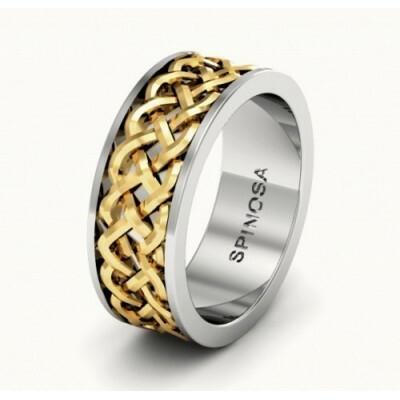 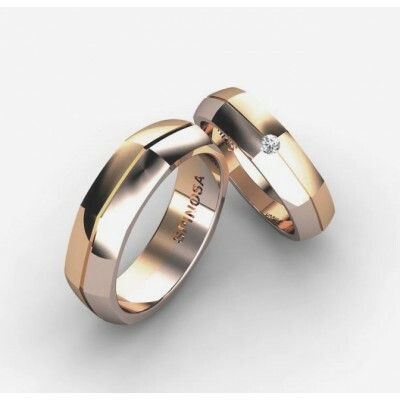 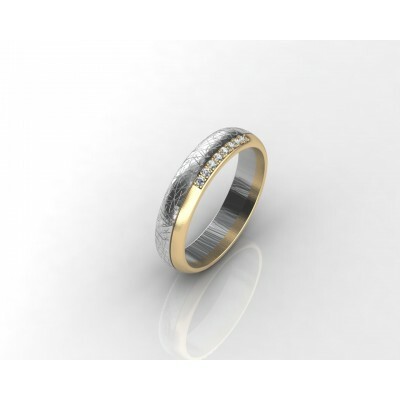 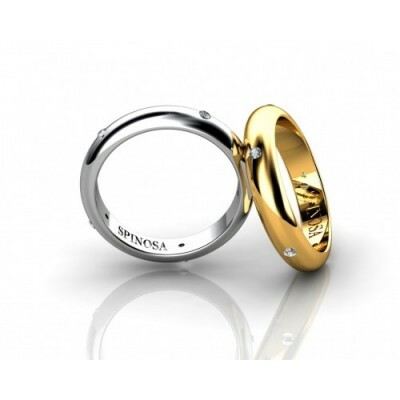 You will change your mind because this wedding ring is made of 18K gold with soft curves. 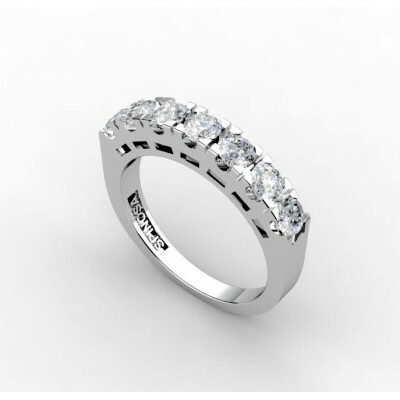 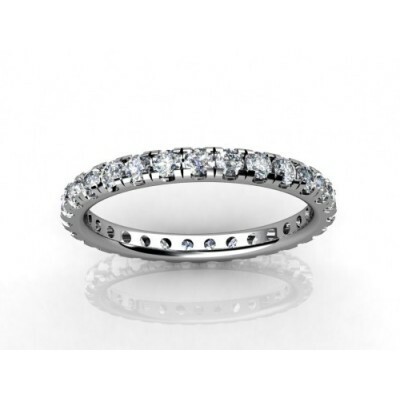 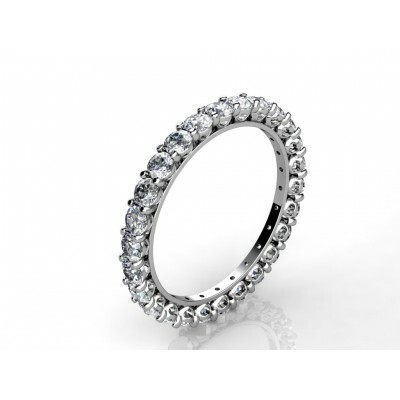 The bride's ring has 8 brilliants with a total quality of 0.28ct H-VS. 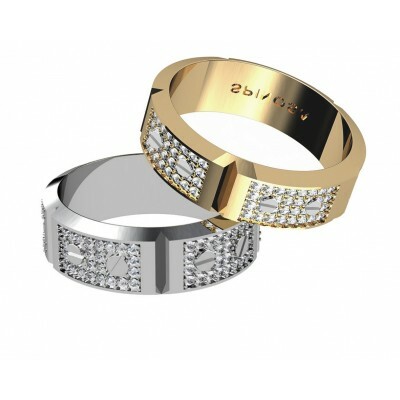 Choose the color of the gold that you want.